Move mountains? I don’t see any mountains! Our topic is doubt. What doubt? 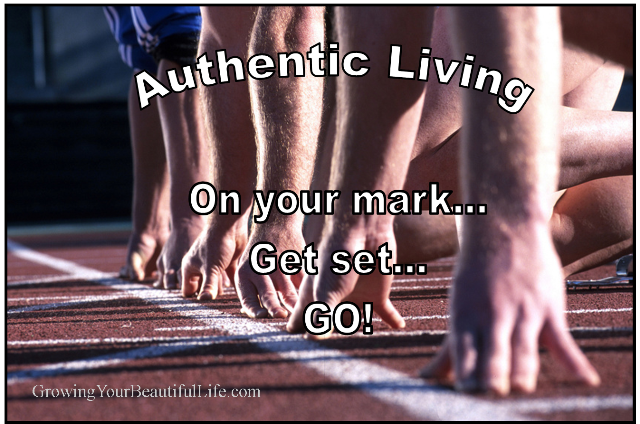 The doubt that sneaks in and convinces you that you cannot accomplish your goal. The doubt that tells you you’re not enough. That creeping vine that wraps around your dream and squeezes tighter every day. Here’s the good news: Even the weed of doubt becomes a seed for progress when you recognize its purpose. Doubt is just you crying out to yourself for encouragement and love! In this series we’ll explore how to embrace doubt and put it in the hands of the One who turns all things good. Through prayer, meditation, and some easy exercises, your doubt will turn from a weed to a seed, working in your favor. What mountains do you see in your way? Are you ready to move them? Move from doubter to doer and watch that landscape take a brand new form. Hello friends. I’ve been gone awhile (more about that later). While I have not been writing, other bloggers have been producing insight, at, and thoughtful dialogue. Here is a post from Mark Weston’s “Heartland” series. If you like it -as I expect you will- please check out his blog, “Paradigm Shift” to read more. Northwest of the town square , past the bank, water tower, and United Methodist Church a modest, two story white house rests on a corner lot. My friend John’s aunt lives here. On the west side of the house, an enclosed stairway leads to a second floor apartment. With eager anticipation, John and I climb the steep stair steps. That’s what it was for me for awhile. Because that’s what I decided it would be. But wait. Last I checked, there’s no law defining this particular day of the year. No legislative regulation about February 14 in the good ol’ U.S.A. So while traditions are wonderful and fun and inspiring when they work, let’s not allow our clinging to tradition to cast a shadow on a beautiful day. Love is everywhere! Lonely? Visit a garden! Isolated? Take a walk at the park and listen to the birds! God has given us a beautiful world. So choose to live a beautiful life on February 14 just like you do any other day. Do it for you. Do it for LOVE! This VISION JAR helps me remember why I’m saving money! In my studies on human behavior – and in my personal-development journey – I have learned that there are three main learning styles: Visual (seeing), Auditory (hearing), and Kinesthetic (doing). Most people have a preference for one or another, or a combination of the three depending on the learning context. I’m primarily a visual learner. This idea is for the visual learners among us. When I’m introduced to a new group of people, I struggle to remember names that are told to me…unless people are wearing name tags or someone gives me a list of names ahead of time. I will recognize your face, I will connect the written name with your face. Visual me. Remember the story problems in math class? When my kids needed help with theirs, they’d read them to me out loud. Useless. I’m good at math, but auditory learning isn’t my strength. So I’d say, “bring me the book and let me see it.” Then, I’d understand in a minute. Visual. The boss says, “Connie, why didn’t you do XYZ with QRS and GHI?” I look at her blankly. What? “I told you yesterday…” But I didn’t write it down. I never saw the detailed instruction – only heard it. I’m Visual, and I need to write things down and look at them to stay on track. Sound familiar? If so, you might be a Visual too. And if you are, you’ll benefit from this concept: “Illustrate to Motivate”! Goals & Meditation: While meditating, visualize your goals. What does your ideal professional look like? If you were watching your dream vacation as a movie, what would you see? How would it look if you had not financial restraints and could live the way you really want to? Vision Board: Cut or print out pictures and words that represent your goals and dreams, and put them on a poster or cork board. Seeing images of your desires creates a dynamic energy to propel you forward. 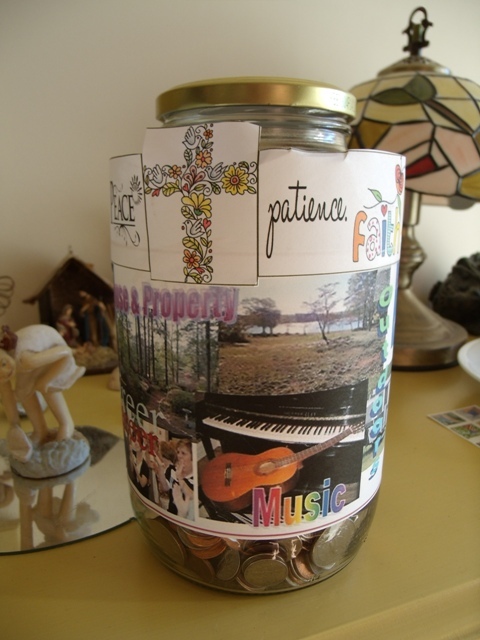 Vision Jar (pictured at the top of this post): If saving money is a challenge for you, it might be that the process lacks the visual quality you need to maintain motivation. Cover your Coin Jar or Piggy Bank or even your Bank Book with pictures and words of the things you’re saving for – because it’s not about the money, it’s about what the money will help you achieve. Use these yourself, with your children, at work or in your church. You know the saying: “A picture’s worth a thousand words.” So live by it, and Illustrate to Motivate! For more information on learning styles, visit MINDTOOLS.com. God bless, have a wonderful day, and keep on Growing Your Beautiful Life!